Samsung raises the bar again with the Samsung Galaxy S10 Dual SIM. Celebrating a decade since the launch of the first Samsung Galaxy S, it is engineered to meet the distinct needs of today’s smartphone market, allowing you to do more of what you love. It delivers a new dimension of mobile photography experiences with its avant-garde camera system. Boasting advanced ISP and MFC, the vision image processing unit at the core of Galaxy S10 paves the way for DSLR-like picture quality. It incorporates leading-edge Samsung Exynos SoC that features an LTE modem and diverse wireless connectivity options for faster and seamless mobile experiences. Available in a prism black finish, the Galaxy S10 Dual SIM sets the stage for the next generation of mobile experiences. Building on Samsung’s camera leadership of Dual Aperture and Dual Pixel, this Samsung S10 smartphone introduces leading-edge camera technology and advanced intelligence, which makes it easy to shoot epic pics and videos. The 123-degree field of view, thanks to the Ultra Wide Lens, captures imagery like a human eye, so what you see is what’s in the frame. The makes the smartphone a perfect choice for big panoramas and impressive landscape shots. Fit the entire extended family into the photo and make sure that you freeze the full scene into each picture. Always! Whether you are trying to record every detail of a bumpy bike ride or dancing in the middle of an amazing concert, with Super Steady recording with digital stabilization technology on-board, you will worry less about jittery videos and concentrate more in the heat of the moment. Both front and rear cameras of the Samsung Galaxy S10 4G LTE mobile can shoot in up to UHD quality, assuring the memories you make are cherished in top-notch visual quality later on. What's more? The rear camera gives you the sought-after flexibility to record in HDR10 Plus format so that the footage blurs the line between real and reel. This Samsung Galaxy dual-SIM smartphone makes already smart features more accurate with an NPU, better known as the Neural Processing Unit. So now you get pro-grade shots worth sharing without having to dabble into any advanced camera settings manually. Furthermore, Scene Optimizer and Shot Suggestion now more accurately processes additional scenes, offering automatic composition recommendations so that you can frame your photo better than ever. 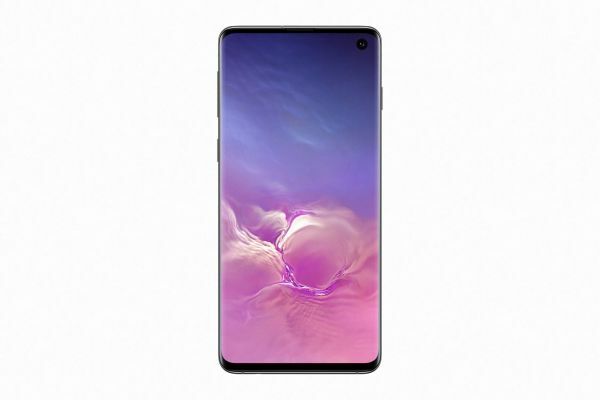 This Galaxy S10 Samsung mobile is built with premium hardware and machine-learning-based software that surpasses the current generation’s standards. From the power-sharing capabilities to Intelligent WiFi and AI-powered performance enhancement, the sleek piece is dubbed as Samsung’s most intelligent device yet. From the inside out! The AI core automatically optimizes CPU, RAM, battery, and even device temperature based on how you use your phone and progresses to get better over time. The Intelligent WiFi allows for an uninterrupted and safe connection by flawlessly switching between WiFi and LTE according to the signal strength and need, as well as alerting you of potentially risky WiFi connections. Furthermore, it also supports the new WiFi 6 standard that renders better wireless performance when connected to a compatible router. And when you have Bixby automating your routines and providing personalized recommendations, your day-to-day tasks inevitably become a breeze. This Samsung Galaxy 4G mobile offers everything you have come to expect from the Galaxy S series, only more. It packs within various cutting-edge features like Fast Wireless Charging 2.0, Samsung Health, Samsung Pay and Samsung DeX. It boasts IP68 water and dust resistance so that you can sail through your everyday life without having to worry about your device. Plus, it is built with secure storage backed by hardware and defense-grade Samsung Knox to uphold the utmost safety of your data. Nice product, light and perfect size. The camera with the three lenses and the access to standard zoom (wide, normal and tele) is really excellent. The fingerprint reader is not working from the first all the time; I expect later software upgrade will improve it; it was expected that here the self learning algorithm will work. Otherwise not much difference comparing it with the other top of the line phones out there. Makes you think again in spending big money (as much as a laptop) on a phone. The best phone ever made by Samsung and I am excited to get it as soon as possible to try it and upgrade from my Note 8 to this beast. Looks, Performance, camera, and the new partnership with Snapchat and Instrgram to make the photos taken by it even better than other compitators. No wide angle for the front camera.